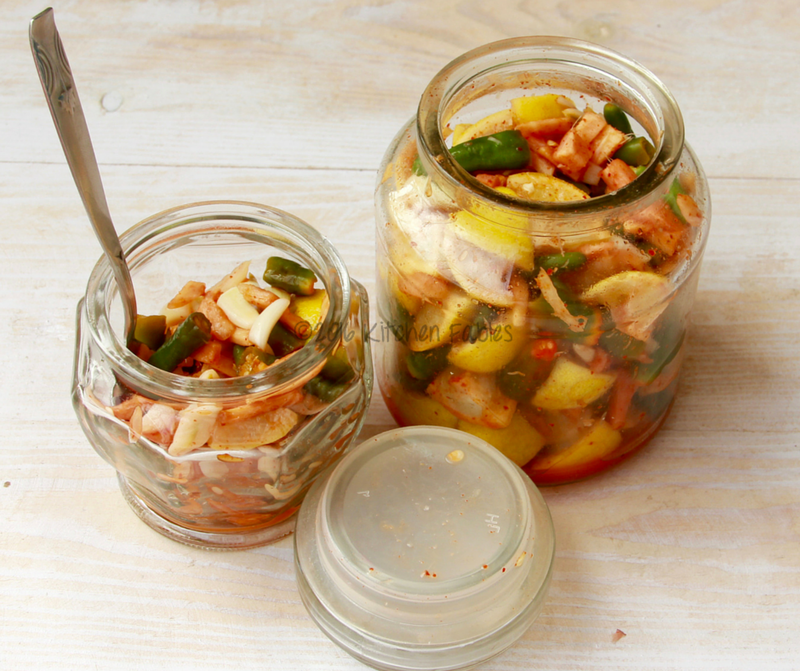 Pickles are a must in an Indian meal irrespective of whether it is spicy or bland, vegetarian or non vegetarian. The variety of pickles is mind blowing. During my childhood I remember my mother would pickle every seasonal vegetable. At any given time we would have at least 6-8 pickles at home. I have always preferred pickles that are made without oil like Mango Pickle made with asafoetida. 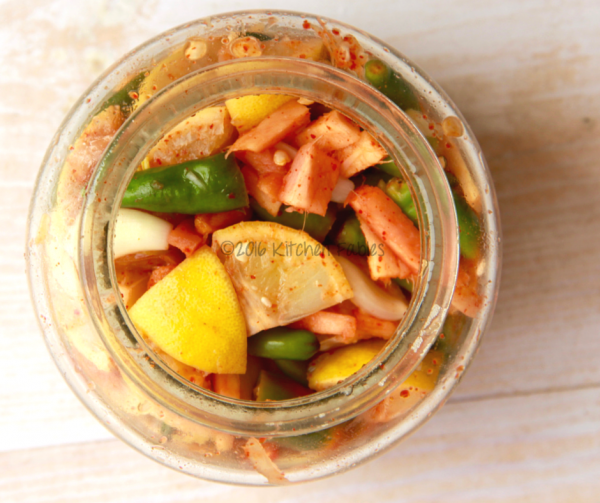 The lemon , ginger and green chilli pickle is a quick and easy pickle made with ingredients easily available at home. This pickle lasts for a month and can be made in small batches. If making in larger quantities ensure that there is enough lemon juice to soak ginger, chilli and garlic. My mother did not add garlic and I started adding garlic as I found a similar garlic pickle in many restaurants serving Kerala cuisine. Since we did not add garlic and made the pickle with Rock Salt, we could consume this pickle during fasts as well. Ginger and Garlic both aid in digestion therefore it is a good pickle to eat in small quantity everyday. Wash and Dry the Ginger , Chillies and Lemons. Ensure that there are no traces of moisture. 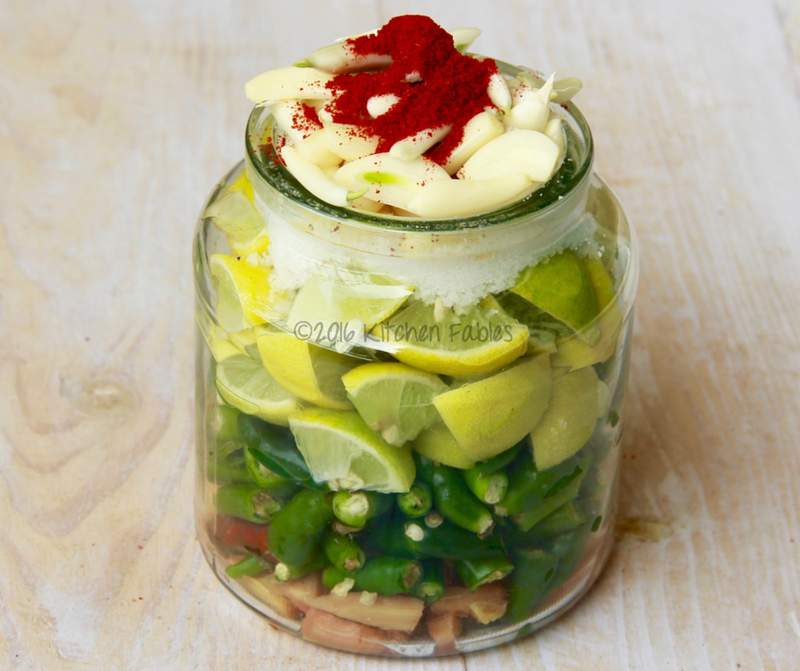 Once Ginger , Chillies and Lemons are dry , cut ginger into juliennes. Chop the chillies into small pieces or slit them. Cut the lemon and squeeze to get half the juice in a clean bowl. Mix all the other ingredients in the bowl and transfer to a clean and dry Jar. Put the jar under the Sun for 2-3 hours and then bring it inside. The pickle will be ready to consume in a day. 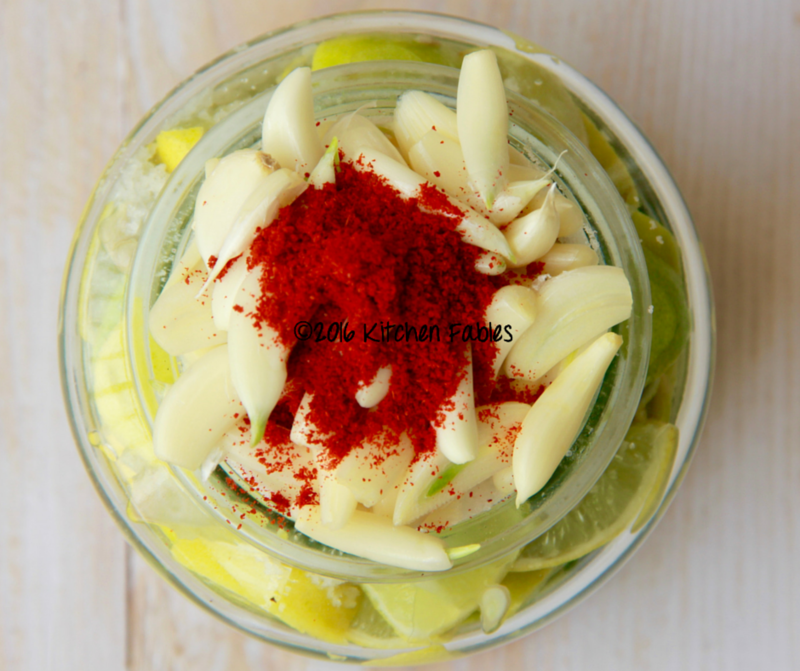 As time passes the ginger , garlic and chillies will absorb more lemon juice and salt. I wonder, how long this will last for without any mold building up in case it is not consumed quickly. Sorry I haven’t made it yet. Thanks. Thanks for your query. The pickle lasts easily upto 2 months, even more. Instead of garlic, Add a pinch of “Ajwain ” and a pinch of Sodium metabisulfite, it will last for a year in refrigerator.